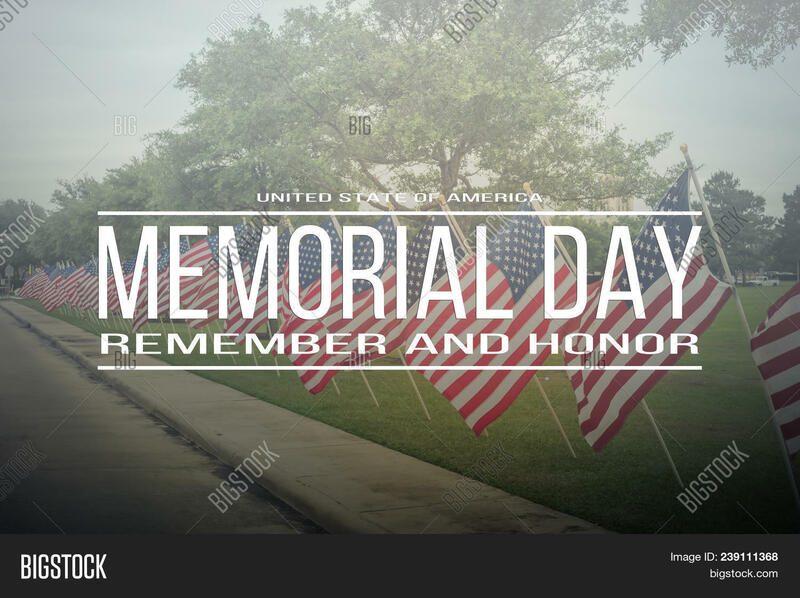 Text Memorial Day on long row of lawn American Flags background. Green grass yard USA flags blow in the wind. 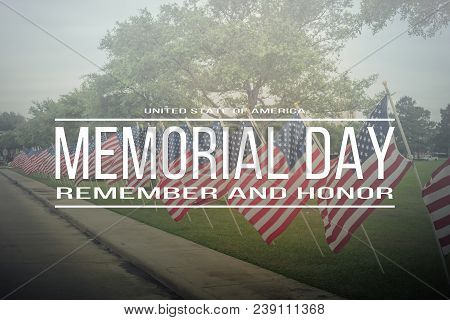 Concept of Memorial day or Veteran's day in America.